I lost track of time working on a project so I’m posting this late at night on my way to bed. So this is going to be short. 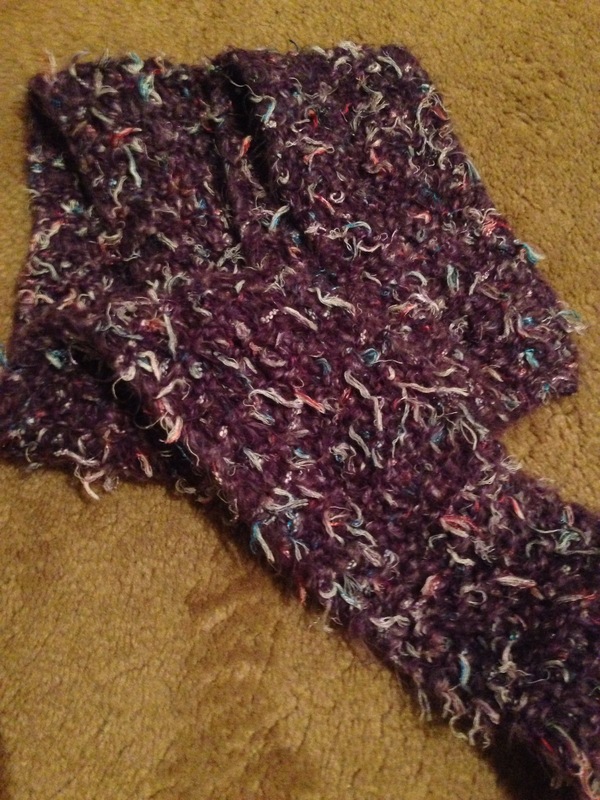 This scarf I made with one ball of yarn at least six years ago. I bought it on sale or clearance and that was all that was left but I loved it because it was purple and the frills in pink and white. I cast on 14 stitches and knit in garter until it was done. I cast it off way to tight, which was a common mistake of mine. But I’ve gotten better.